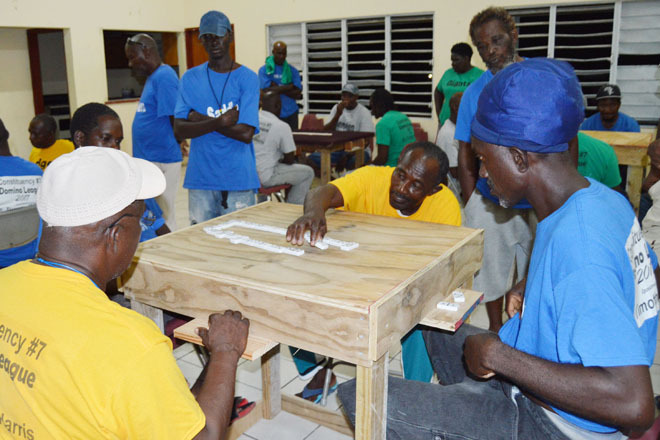 BASSETERRE, ST. KITTS, October 13, 2017 (PLP PR Media Inc.) — The second segment of play in the second round of the home-away round robin stage of this year’s edition of the annual Constituency Number Seven Dr the Hon Timothy Harris Domino League competition recorded four reverse (revenge) results. The games were held on Thursday evening October 12 at five venues, all in Constituency Number Seven. Sylver’s who had in the first round lost an away game to Beers, made good their revenge on their home ground at Tacky Bar in Hidden Alley Lodge Village by beating Beers 13-9. Parsons had in the first round collected easy points when Christchurch failed to raise a team for their game at Parsons in the first round. But in the second round on Thursday, and in a game played at the Domino House in Mansion, Christchurch beat the visitors from Constituency Number Six (Parsons) 13-6. Upsetters overturned the results recorded in the first round when in the second round they beat Giants 13-11 at the Lodge Community Centre in Lodge Project, while Molineux did the same to Small Corner whom they beat 13-11 in the second round in a game played at Bernette Bar in Hidden Alley Lodge Village. 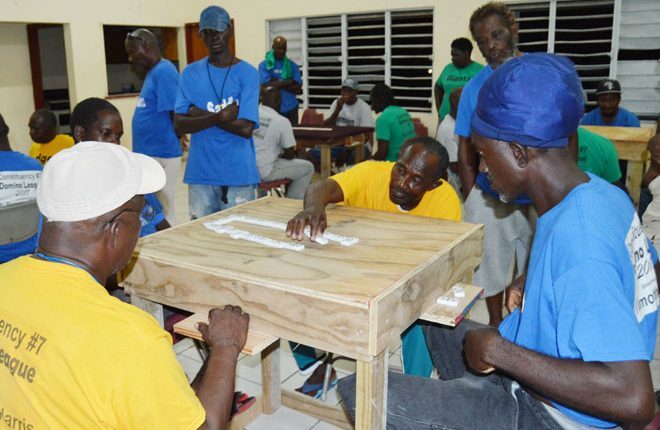 As the Constituency Seven Domino League races forward in the second round of the round robin stage, third segment games will be played on Tuesday October 17 at six venues. 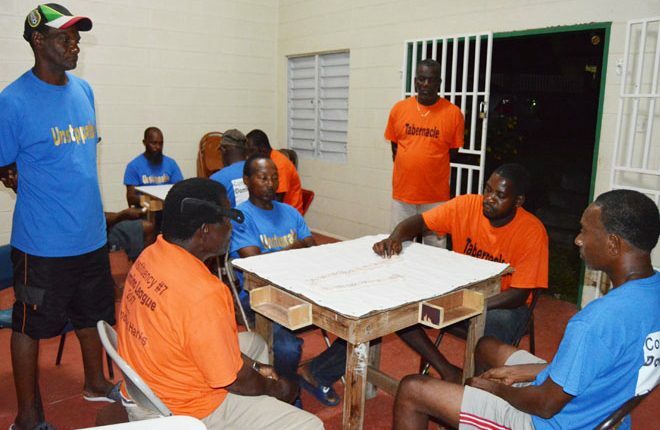 The Lodge Community Centre in Lodge Project will host two games where Lodge will be facing Giants; and defending champions Unity will be facing Sylver’s. The two teams from Constituency Number Six, Saddlers and Parsons, will meet in Parsons in their home constituency. The Edgar Gilbert Sporting Complex pavilion in Molineux will host Molineux and Unstoppable; Beers will be away at the Domino House in Mansion to Christchurch; Tabernacle will be at home at the T-Vill’s Hang Out Spot in Tabernacle facing Guinness; and Upsetters will be at home at Bernette Bar in Hidden Alley Lodge Village entertaining Small Corner.